We know that your number one goal is to provide quality healthcare but you also need to make money. We know most practices are struggling to make the money they used to make. The healthcare landscape and insurance world has changed. Healthcare facilities face a lot of challenges with low level of collections, big account receivables backlog, rising costs of administration, lack of qualified resources, the ever increasing need to spend on IT infrastructure. This can be a distraction from your core business objectives. Medical practices need a reliable and efficient way to increase revenues and effective revenue management solutions. this is revenue cycle management. MedUSA Healthcare Services specializes in setting up the latest state-of-the-art Revenue cycle Management Systems encompassing patient registration, insurance verification, medical coding, payment posting, accounts receivables and denial management among other things. 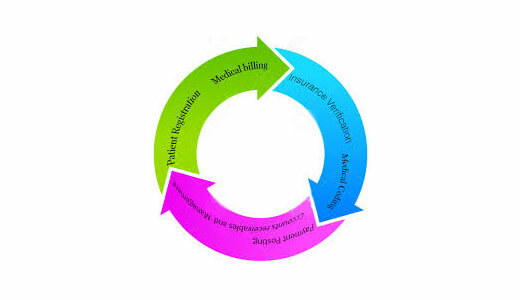 We have a deep understanding of the healthcare revenue cycle business process. It is not beating the system, it is experiencing by knowing the rules of the game. Old Accounts Receivable resubmission and follow-up.